Even though pure electric cars have been around for many years, there are only few designs which have met the expectation of the people. Many models which had prototypes designs were sent to market after making some adjustments and alterations. In earlier times when gasoline was cheap, nobody thought of improving the battery pack used on electric vehicles as they were not good at all and that is the reason why such technology never became popular. Recent technology advancement has changed the entire scene and now more efficient and lightweight batteries are available in the market. The most common problem seen with older batteries was it used to power the vehicle with DC power source which had a limited technology and the batteries were too heavy and were quite inefficient. When bigger and more powerful electric motor was used as the power plant of EVs, the effective driving range was limited because the batteries do not have sufficient charge to supply to the motor. What’s needed was to create a system which works and makes the car power source lighter and could hold more electric charge. There was great reduction in the demand for lighter batteries after researchers created new designs for the electric car power system. The glaring example is usage of hybrid technology which is based upon a small scale generator that runs on gasoline and produces the electric power required to charge the battery pack which in turn used to run the electric motor. This is really an efficient system because the generator continuously keeps on charging the small group of batteries that is used to power the vehicle. Other designs which have been tried are using Photovoltaic (PV) solar panels to charge the batteries with a hope enough power can be generated to run the vehicle. This technology worked very well especially during sunny days but after sunset and change in the weather, the technology proved to be very inefficient. Alas, more research and development is needed to make solar hybrid electric car practical. Research and experiment do help and such experimentation has really boosted the effective driving mileage of pure electric cars. The recently developed technology pertaining to batteries has really spur interest in the electric car segment. Batteries are now smaller, lighter and capable of holding much more electric charge meaning it could last longer in between recharge. However, the biggest problem with these batteries right now is the cost. They are quite expensive as compared to normal batteries, thus this will add up to the cost of the electric car. But once manufacturing technology gets improved, the price reduction is quite imminent. Several car manufacturers are working hard and planning to put pure electric cars in the market in the next couple of years which are more efficient and have a longer driving range. 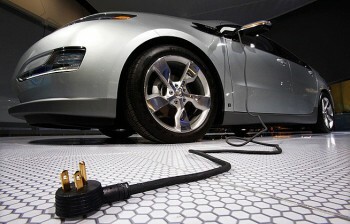 You can simply plug in these cars in your garage power outlet for charging. The best thing is, you can drive these cars similar to an automobile with an internal combustion engine. The range will also be increased and you can drive modern EVs for around 200 miles in a single charge. Understandably, these cars will cost more but you can recover your investment quickly because you will save lot of money on gasoline. As a cheaper alternative, you can convert your present car into pure electric vehicle using an EV conversion kit. You have the options either to wait till new technologies for EV are available or convert your present car into electric one. With the passage of time and technological advancement, it is only a matter of time before electric car is used by the mass market.